Qualcomm just announced their new Snapdragon 855 processor and now OnePlus has confirmed that their new OnePlus 7 smartphone will come with 5G and will use the Snapdragon 855. 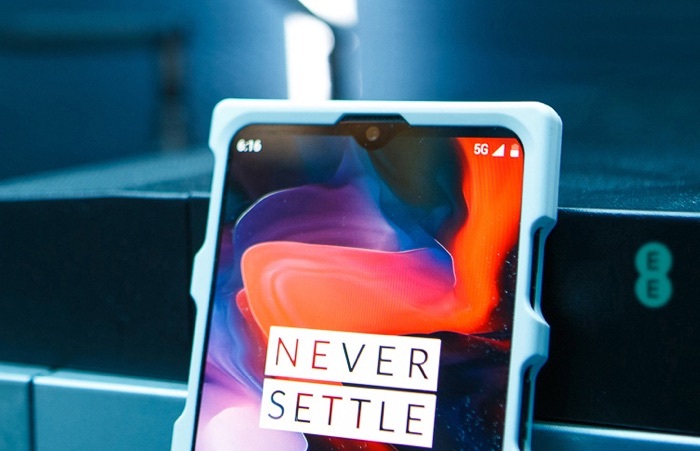 OnePlus has announced that they have teamed up with EE in Europe and they will be the first company to release a 5G commercial smartphone ion Europe, we wonder what Samsung has to say about this as their Galaxy S10 5G is expected in March. OnePlus CEO Pete Lau announced today that OnePlus will be the first to release a 5G commercial smartphone in Europe. The handset will be available first on UK operator EE, which is the UK’s number one mobile network and part of BT Group. The new handset will also be powered by Qualcomm Technologies’ new premium-tier, Qualcomm® Snapdragon™ 855 Mobile Platform and be available in 2019. That would suggest that the new OnePlus 7 is expected to launch in the early part of 2019, we wonder of we will see the handset at Mobile World Congress in February.